Bordier Chocolate butter brings back the smile on my mother’s face buttering my bread for my first after-school snack! 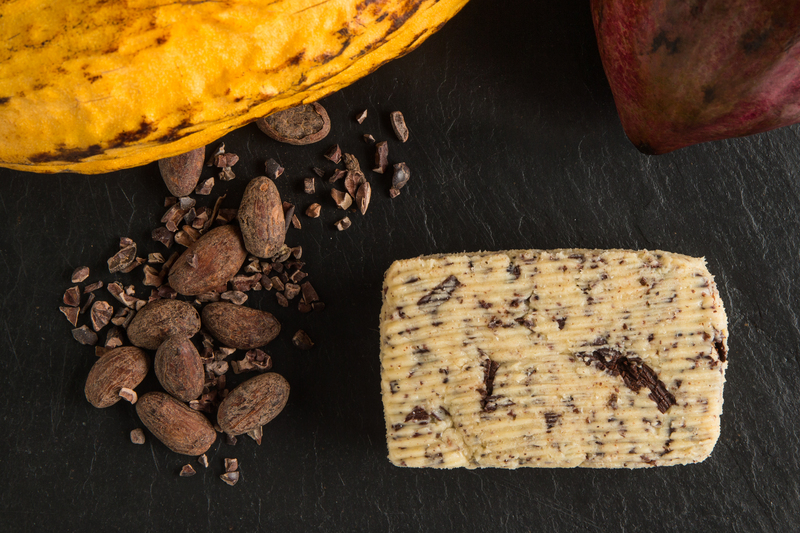 To reveal the true depth of chocolate, you will smell the rich, heady aroma of cacao beans and their crispiness. And the warm, flowery, spice-filled aromas of fine, crispy chocolate shavings. Both beans and chocolate come from the same origin, Venezuela. Only lightly sweetened and not at all bitter, it will coat a white meat, a filet of duck, kidneys, or scallops. As well as being a perfect companion for your slices of bread, brioches, or even just by the spoonful! Available from April 8 to May 5, 2019.